Tails Two Sides. . HD Wallpaper and background images in the Miles "Tails" Prower club tagged: tails cute sonic aosth x baby little sonicx. waaaaaaaa tails is scaring me! 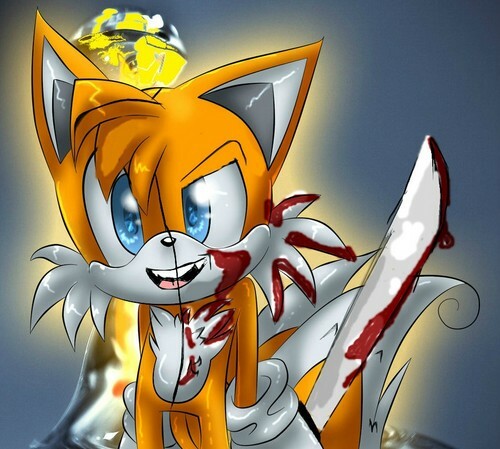 tails: 'in scary voice' do i frighten u? me: hell ya stop it! u didnt used to be lik dis! I just came up with a origin for him he is a part of a gamg called the 2 siders that imitate there hero counterparts like Two sided Tails will disguise as Tails and do evil things.